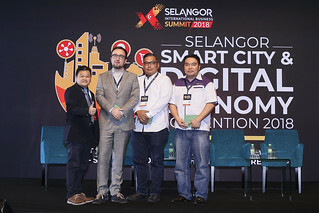 The Selangor-Barcelona collaboration for Smart City & Future Commerce was concluded at the Top E-Commerce Merchant Awards on Saturday, 9 September, marking the end of the first element of the Selangor International Business Summit 2017, a 10-day event held at the Setia City Convention Centre from 7 – 17 September. 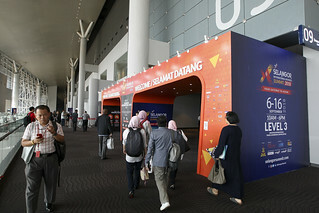 In its second iteration this year, the competition saw the participation of over 100 Malaysian-owned online merchants with over 80,000 online votes — they competed with each other for the grand prize of RM 10,000 as part of the RM 25,000 prize pool. The awards ceremony is the final leg of the competition, and was opened at 2:15PM by a wonderful ethnic Malay cultural performance. Officiated by YB Dato’ Teng Chang Khim, Senior Executive Councilor For Investment, Industry & Commerce, SMEs and Transportation, the welcome speech was delivered by the Chief Executive of the Selangor Information Technology & E-Commerce Council (SITEC), Mr. Yong Kai Ping, and was followed by a speech by Senior Councillor, Selangor State Exco, Standing Committee Chairman of Investment, Industry & Trade, Small & Medium Enterprises (SMEs) and Transport, Dato’ Teng Chang Khim. All participating companies were judged on four core areas, namely on their products, the quality of their service, their activity on social media, and the participant’s sales and transaction volumes. 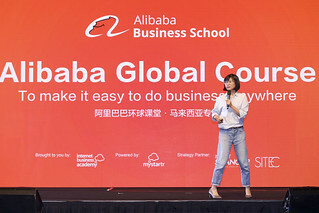 Judging was split between online voting and the competition’s panel of judges with a 50-50 split, with the panel of judges featuring e-Commerce players. The second-runner up, Nexgan Sdn Bhd whose store name is ‘Sally’s Fashion’, received a prize set, as well as RM 3,000 in cash. The first-runner up, Ideal Tech PC Sdn Bhd, went home with RM 5,000 in cash and a prize set as well.